Independent producers want a single interface for their onboarding and compensation workflows. Boston, September 25, 2014 – After making significant progress with back-office core systems and producer portals, many U.S. P&C and life and annuity insurance companies want to modernize their producer management applications. A producer management application improves producer onboarding as well as credential, compensation, and performance management. Can it also provide insurance companies a significant competitive advantage? 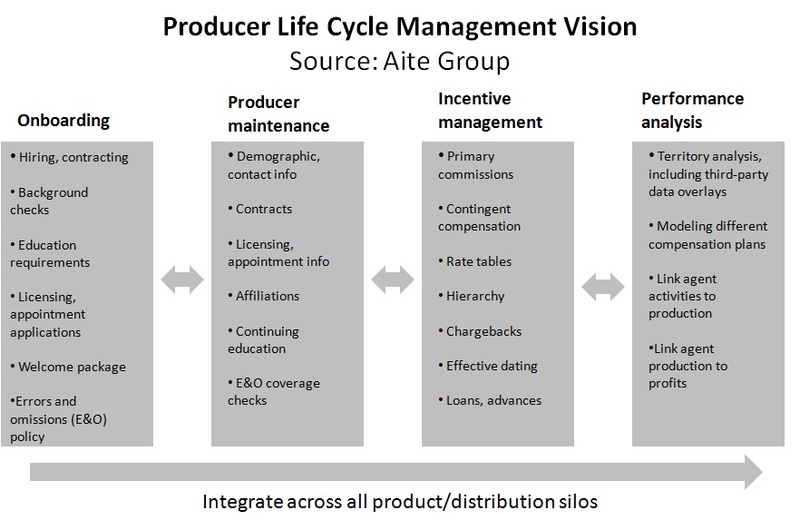 This Aite Group report, based on June and August 2014 interviews with executives at 20 U.S. insurance companies, will be useful to marketing, distribution, compliance, and information technology managers and executives at U.S. insurance companies that want to achieve competitive advantage with their producer management applications. This 23-page Impact Note contains eight figures and two tables. Clients of Aite Group's Life Insurance or P&C Insurance services can download this report.